HOT! Save 50% on 20 Highly-Rated Melissa & Doug Toys! 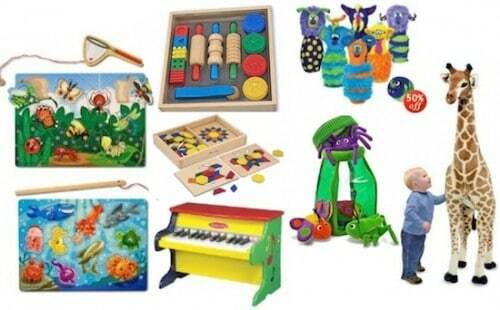 Today only, Amazon is featuring 20 different Melissa & Doug toys for 50% off! Some of the items included are actually favorites in our house, and there are a few I'm really wanting to buy! is perfect for any baby on your gift list. 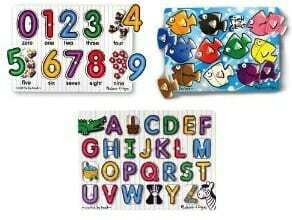 We have the letters puzzle and it played a huge part in my little ones learning the alphabet and phonics! 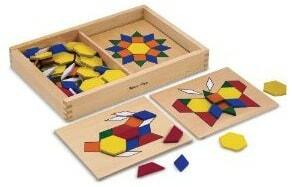 Plus, $10 for 3 wooden puzzles is a steal! is favorite in our home. The set is a challenge for my 3 year old, but it's such a great fine motor tool and surprisingly fun for little hands! is at an extra-low price of $15. 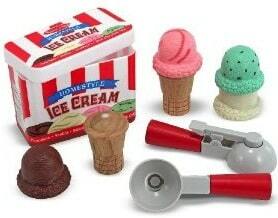 This is one of Piper's favorite toys at the toy store and I've been wanting to get her an ice cream set for a long time! There are plenty of other items priced from just $10, but hurry–the sale is only going through today! Everything ships free when you spend $25 or there's no minimum if you have Amazon Prime. You can also pay with your Discover card and get free 1-day shipping when you use Amazon promo code DSCVRHSP at checkout!